Posted: Sat Aug 11, 2012 10:38 am Post subject: Re: STEYR 1912-61? 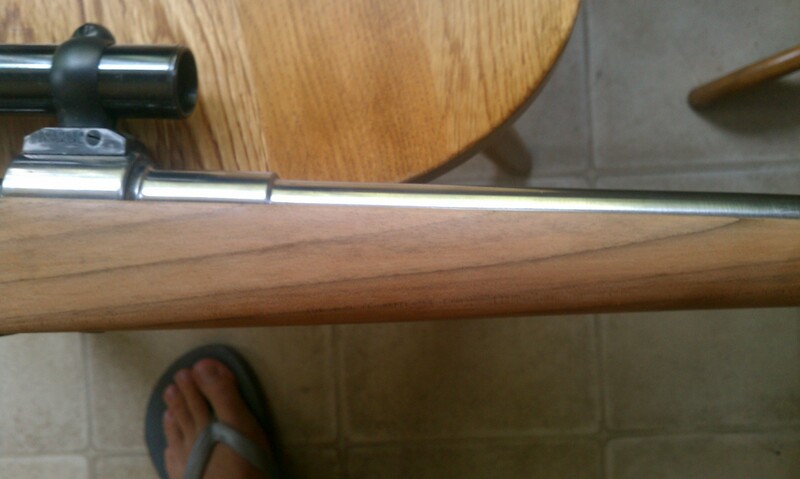 Posted: Sat Aug 11, 2012 12:38 pm Post subject: Re: STEYR 1912-61? 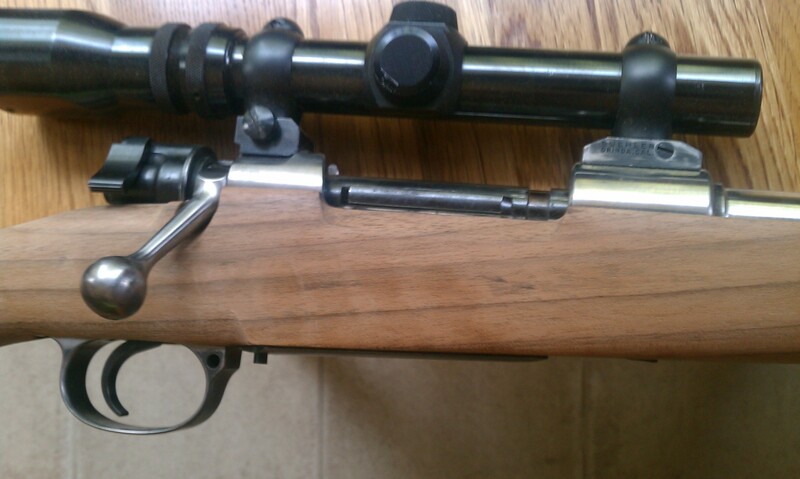 Posted: Sat Aug 11, 2012 12:54 pm Post subject: Re: STEYR 1912-61? Don't feel bad pete, I have a 25" monitor and went off screen even with res set at 1900 and above. If you run win 7, you can use the default image software that comes with it or download a free open source full suite called GIMP. It will re size, scale, wash the dishes and other things. Posted: Sat Aug 11, 2012 1:38 pm Post subject: Re: STEYR 1912-61? SWMBO has shown me the way AGAIN!!!! Posted: Sat Aug 11, 2012 1:44 pm Post subject: Re: STEYR 1912-61? Posted: Sat Dec 15, 2012 4:46 pm Post subject: Re: STEYR 1912-61? Anyone ever work with horn? I think I want to make a horn tip and grip cap. 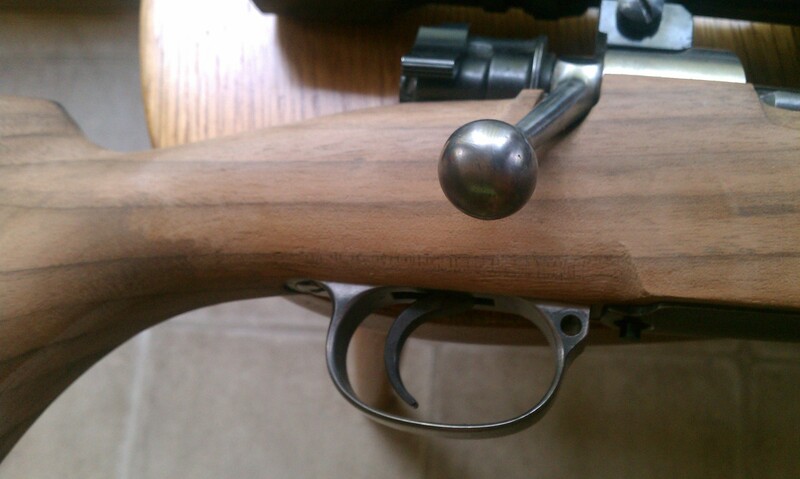 Or maybe just a triangle in the front of the grip cap like the old "95 Winchester. Posted: Sat Dec 15, 2012 5:42 pm Post subject: Re: STEYR 1912-61? we did a little of that at high school way back in nineteen hundred and nuts n bolts.... if I remember rightly it worked fine with an angle grinder but the smell is quite different. the same with deer antler, try it and you will chuckle when you see what I mean . I believe expoxy glue does the job of keeping it in place. good luck look forward to seeing results. Posted: Tue Dec 18, 2012 8:13 am Post subject: Re: STEYR 1912-61? 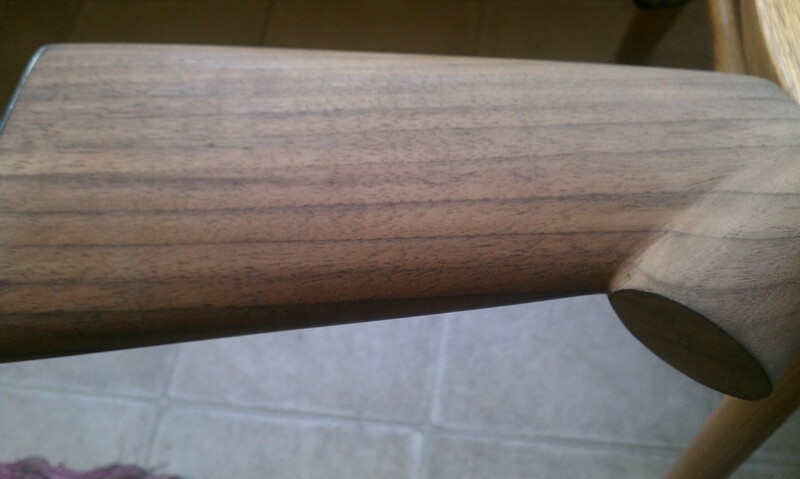 Yeah, I see what you mean Elvis, I roughed out a piece on the belt sander for the muzzle, and it was like singed hair. Kinda reminded me of some family cookouts. It shapes real easy with hand tools too. I messed with it a lot. really trying to spot it in. leaving no gaps. What about the grain? Do you think I should be concerned? I tried to keep the rings concentric to the bore. I think I succeeded without any runout but not sure it was worth the sanity I lost in the process.